Girls outshine boys in Matric results and in first 10 positions, 9 are secured by girls and only one by a boy across the valley. 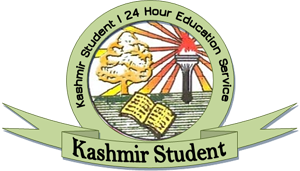 The first position is shared by two girls, Iqra Bashir Makhdoomi daughter of Bashir Ahmad Makhdoomi of Model Public School, Model Town Sopore and Huma Malik daughter of Ishtiyak Ahmad Malik of Mallinson girls higher secondary school who have secured 498 out of 500. The second position is secured by Bushra Manzoor daughter of Dr Manzoor Ahmad Zargar of Mallinson girls higher secondary school who has got 493 marks. 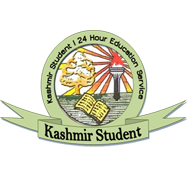 The third position is secured by three girls, Fiza Farooq daughter of Farooq Ahmad Rather of Prime Public school, Baghat-e-Barzulla , Faiqa Khan daughter of Shah Sikander and Khushnuma Mushtaq daughter of Mushtaq Ahmad Ganai, of Mallinson school, who have got 492 marks. The 4th position that is the only in first 10 is secured by Shahzaib Rehman son of Abdul Rehman of JK Public School, Humhama who has secured 491 marks. And the Presentation Convent Higher secondary School has opened its mark at the 4th position. Dr Renu Goswami, Joint Secretary J&K Bose informed local news agency that the overall pass percentage is 68.20%. In total 49027 candidates have appeared in the exams of which 29587 students have qualified and 629 students couldn’t qualify.